There’s no Fortnite for Android release date yet but when it does launch , you won’t find it among the game apps in the Google Play Store, Epic Games officially today. Instead you’ll have to download Fortnite for Android from the company website and sideload the game onto your Google-powered mobile devices. This is an unprecedented move for a game with as big an audience as Fortnite enjoys. Epic has given two reasons for this move, the first is that they want a ‘more direct’ connection with its audience – similar to how Epic Games handles Fortnite on PC. The second, likely bigger, reason, is that Epic doesn’t want to share its money with Google, which would take a 30% cut if the game was on the Google Play Store. “Epic wants to have a direct relationship with our customers on all platforms where that’s possible”, according to CEO Tim Sweeney. This means that Epic would have released Fortnite the same way on iOS, if only Apple didn’t require apps to be vetted before they made it out to the public. Fortnite is one of the most popular games around right now, so regardless of its release strategy, it will find an audience. ut it will be interesting to see how the game performs outside of the Play Store – and whether or not this is a sign of things to come. We don’t know how this will affect Fortnite, its audience, or even the Android app ecosystem as a whole. 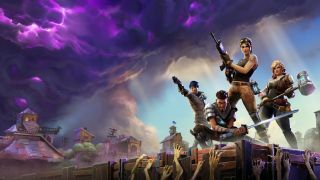 Fortnite made $15 million during its first three weeks on iOS alone – we’re no mathematicians, but 30% of that is a lot of money. We can definitely see the logic Epic is following with this release strategy. We’ll continue to follow the Fortnite for Android saga, including keeping a lookout for that mystery release date.